Okay. 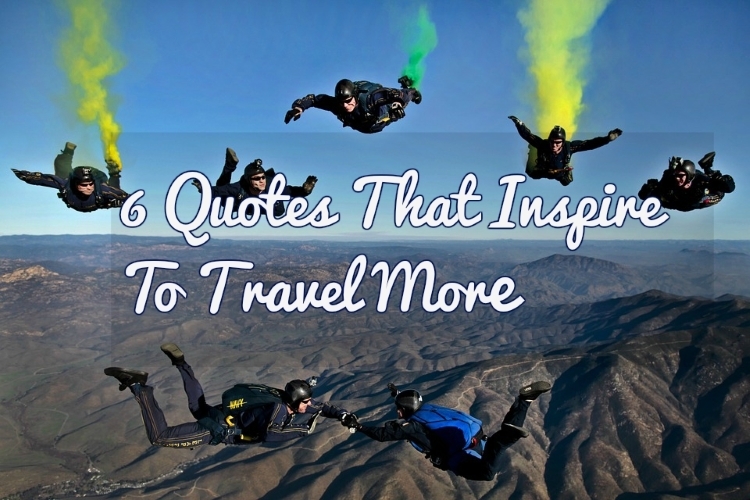 I must admit that choosing the best travel quotes for this particular post is a bit tricky as there are, of course, lots of them that serve as a travel inspiration to me (thanks to the great minds out there – both the living and the dead). So, instead of listing them all, I am sharing 6 of my favorites. I hope this can inspire you too, guys, to travel more. 1. Not all those who wander are lost. 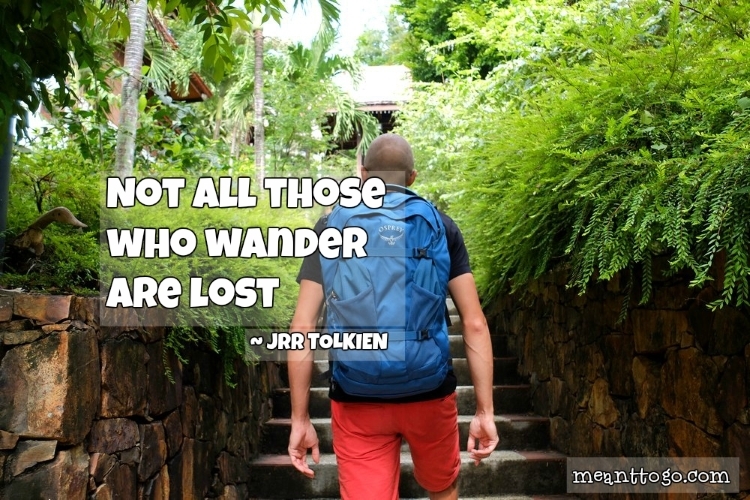 This quote from JRR Tolkien, the author of the ever-popular Lord of the Rings, has left a special mark in my heart, inspiring me to travel more. It reminds us that it’s okay to go places – even to the unfamiliar places. Getting lost should not hinder our desire to travel as it opens opportunities for new discoveries. You can even discover something new about yourself when you travel. 2. Take only memories. 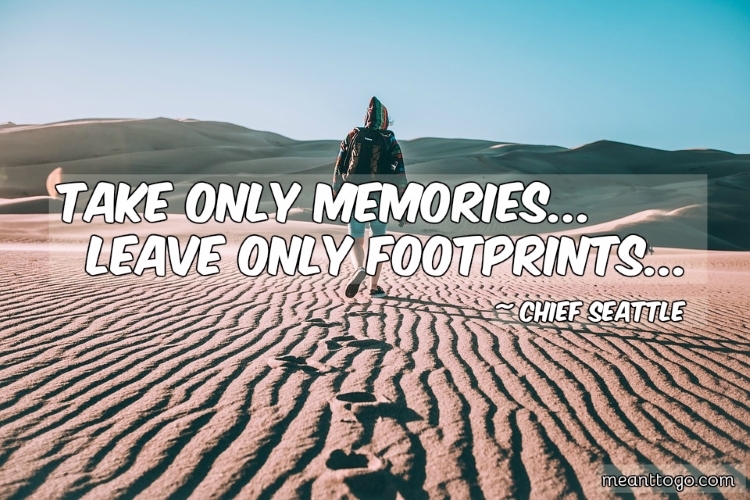 Leave only footprints.This quote teaches a lesson that we, travelers, should cherish the experience we create / discover at our destinations, and take those beautiful memories with us as we go back home. At the same time, it reminds us that wherever and whenever we go, taking care of the environment should also be on top of our agenda; hence, we leave only footprints – and nothing else. In my travel, I always make sure that, at every place I visit, I do not leave anything – even a single candy wrapper (I put it in the right place) – behind that could be harmful to the environment. 3. We’ve come a long way. 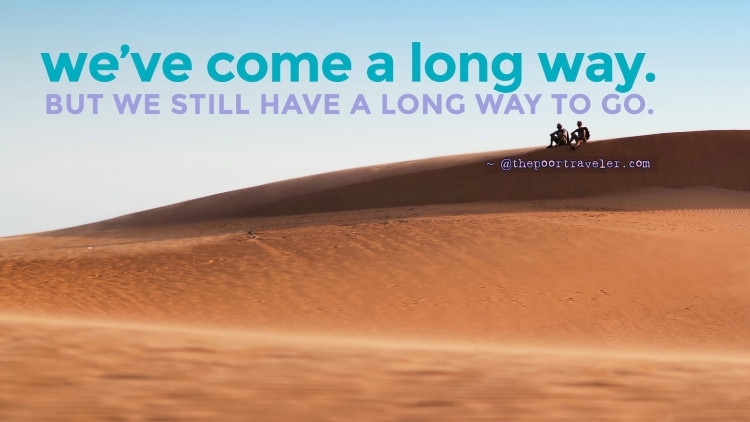 But we still have a long way to go. 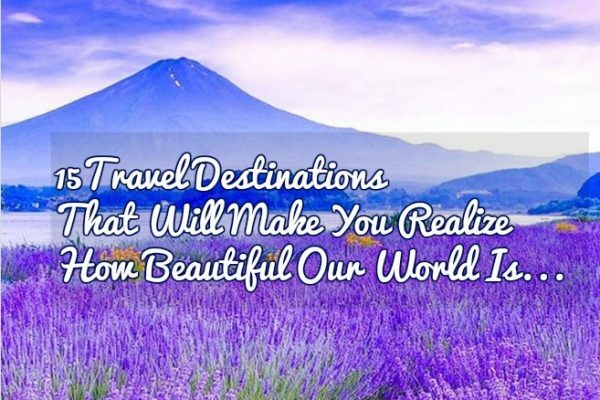 This quote from a popular travel blog called The Poor Traveler makes me realize that there is an unlimited number of beautiful places that the world can offer – inviting us, waiting for us! In fact, they are too many that we most probably cannot visit them all in our lifetime. But of course, we should try visit as many as we can all the same. 4. 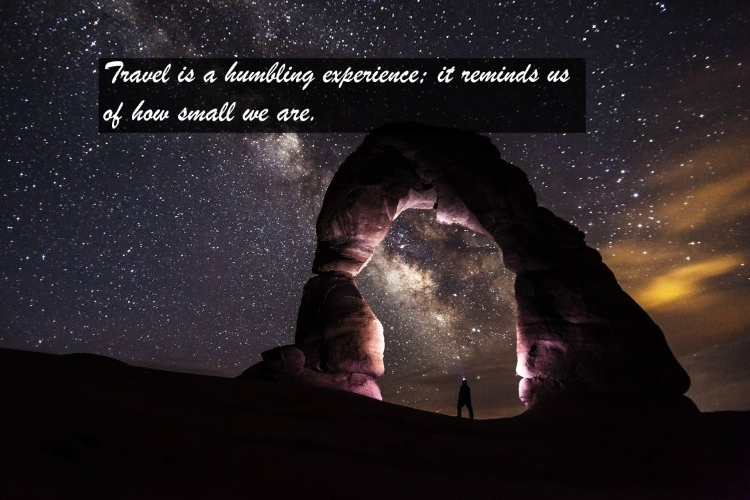 Travel is a humbling experience; it reminds us of how small we are. This particular thought was realized by yours truly. When I visited Chocolates Hills in Bohol, Philippines, I saw how small people were standing, taking picture of themselves against the backdrop of hundreds upon hundreds of perfectly-shaped hills expanding into the horizon. True enough, as we visit each destination, and as we go farther and farther into places, we realize that, indeed, we are a mere speck in the global scale. It’s a humbling experience because as we discover new and beautiful things – things, which I think even more beautiful than we are – we realize that we do not have the highest privileged position in the planet. 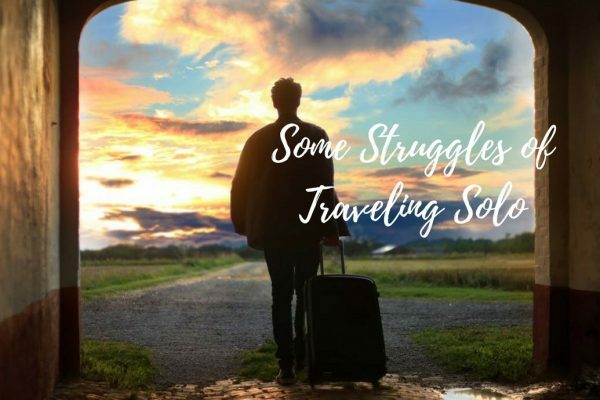 In other words, traveling teaches us to keep our feet on the ground as we might not be as special as we think we are in bigger, wider scales. 5. 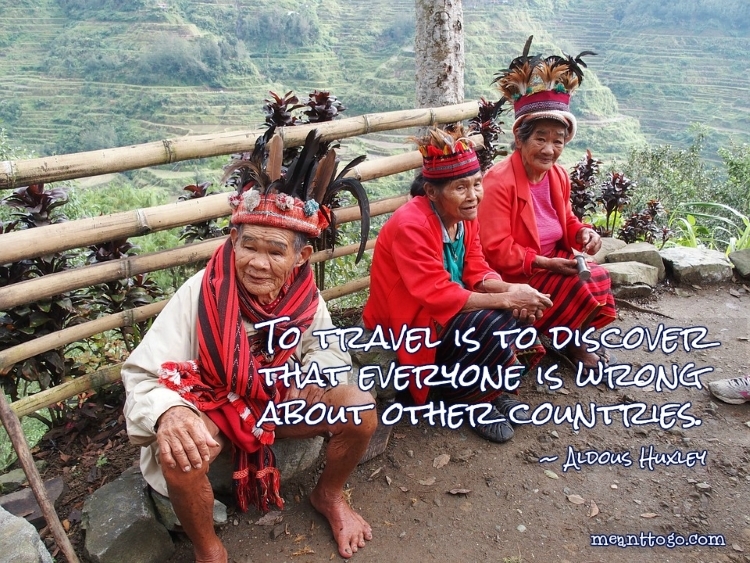 To travel is to discover that everyone is wrong about other countries. They say we cannot judge a thing (or at least we cannot give a much better judgement) without experiencing it first-hand. That is true. And this quote is the best reflection of that. Sometimes, we are discouraged to go to a particular place because of something negative we hear about it. However, oftentimes, stereotyping does not bring any good; we miss to experience something good because of our prejudgment. If we want to discover about a place or country, the best way to do that is to experience it ourselves. 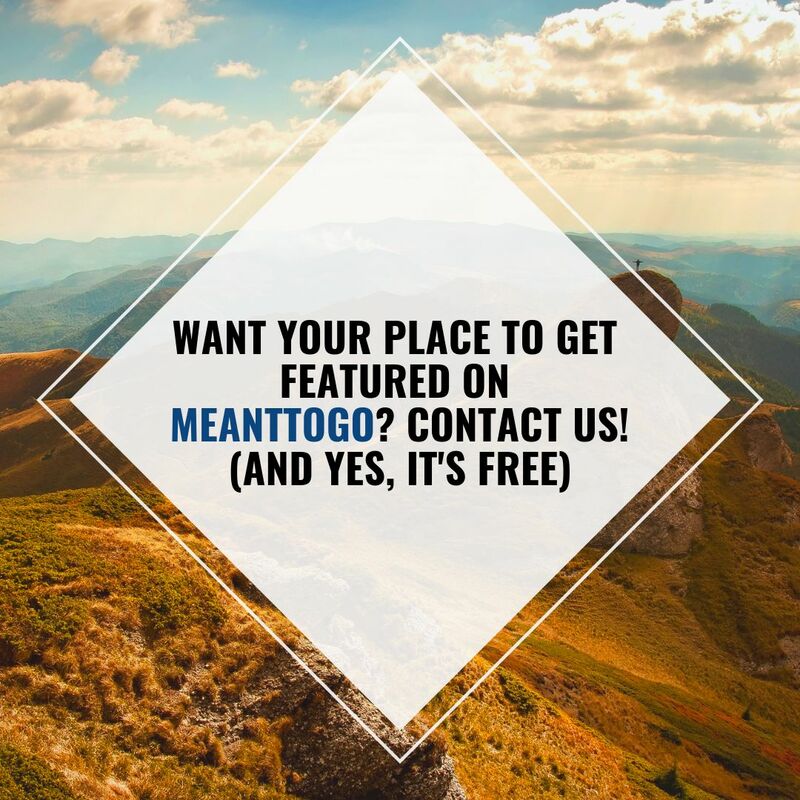 We might be surprised that such place is way better than what we think it is. 6. 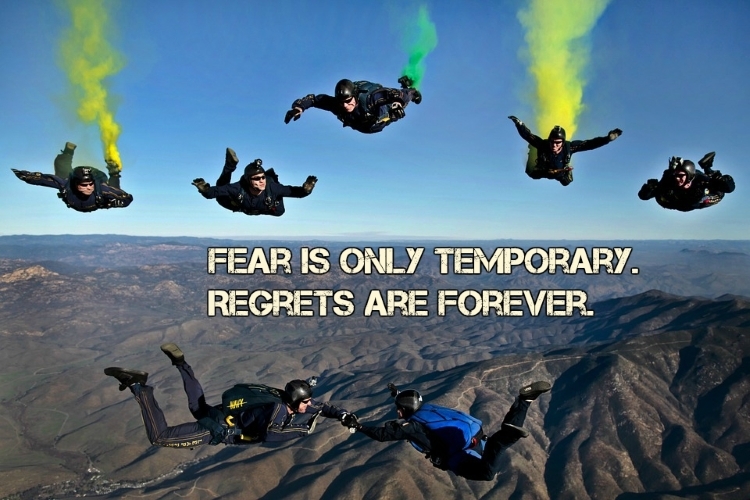 Fear is only temporary. Regrets are forever. Should we let our fear hinder us to go to the place that we have been dying to see? That question is something that we should ponder on. This quote reminds us that we tend to miss to experience beautiful things because fear dominates us. But if we do not let fear conquer ourselves, we can do a lot of things both for personal and for community development. And, we should realize that the more we conquer our fear, the more it is diminished. So, stop worrying now. Take your travel essentials and hit the road!